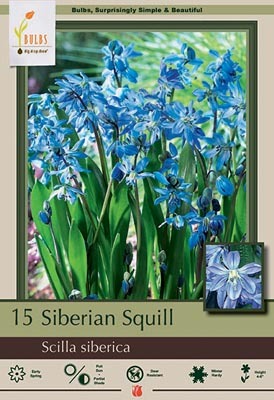 Minimal green foliage is covered by 4-6" stems of many star-like blue flowers. 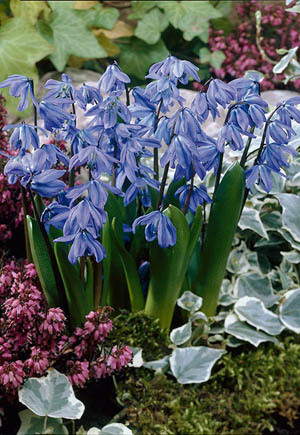 Easy to grow in moist well-drained soil in full sun or partial shade. 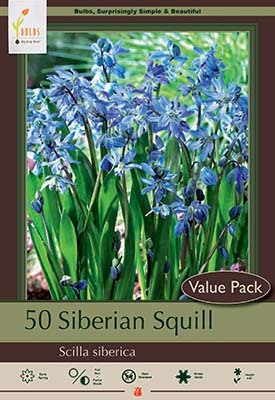 Also known as Siberian Squill. Plant in waves in the garden or lawn. When planting in the lawn do not mow until at least 6 weeks after the flowers have bloomed. It will spread and come back year after year if left undisturbed.